The Open Fours tournament is held annually. There are 24 teams in 4 groups. Each team in each group plays the other teams in that group. The top teams in each group proceed to the semi-finals. The winners of each semi-final play for prize money, £100 for the winning team, £50 for the losing team. Each losing semi-finalist gets £25. The flyer, including application form, date, and entry cost is below. 2018: Open Fours Winners. 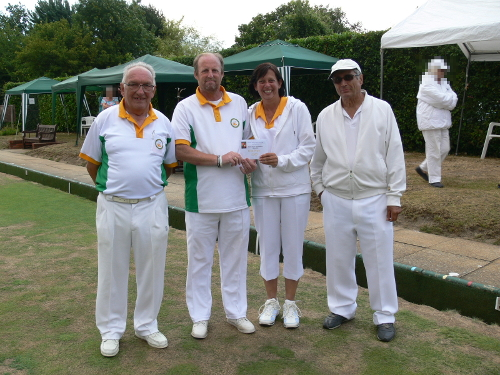 Cove Bowls Club.